We had a very exciting morning on January 24th at 397 when Mr Marowitz, all four Assistant Principals, City Councilman Costa Constantinides, Lt. Suzanne Catoggio, commanding officer of Patrol Borough Queens North’s School Safety Division, Josephine Morales, former unit coordinator at our P151 site, and some of our amazing parents of current and past students came to celebrate the official opening ceremony of our new building with us. We started the celebration with a few words from Mr Marowitz, former PTA presidents, Victor Ty and Nora Echart, and Mr Constanitinides who gave us the fantastic news that we are getting a grant for a technology upgrade! Then, teachers Ms Jennifer and Ms Rebecca brought tears to our eyes with their fantastic presentation remembering the chaos of packing up while teaching summer school, the complicated logistics of moving an entire school, setting up 17 classrooms and finally some words about our new luxurious-to-us surroundings. Miss Victoria’s class outdid themselves with their words about what they love about our new building. Afterwards, we headed outside for a ribbon-cutting ceremony with a real-life drumroll, followed by the awarding of Honorary P255Q Member certificates to our wonderful advocates. The morning ended with a quick tour of some of our fantastic new learning spaces and classes for the attending parents. It really was a wonderful morning and we hope to have many more such events in our wonderful new building. Thank you so much to all that made it happen and of course to our wonderful coordinator Katie McLaughlin who makes it all work. You can check out some videos and photos of the event at our photo site here. 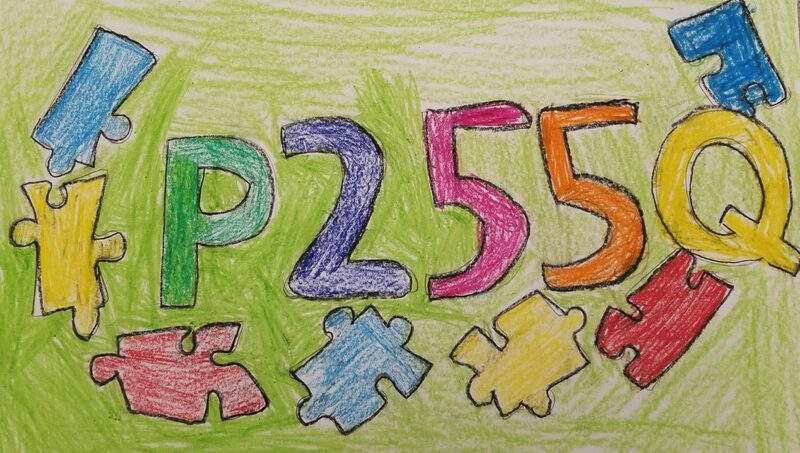 P255Q only has the evening support group at PS168 tomorrow, January 23rd at 6pm. Thank you to our families for all your support and attending our support groups! We had a Special Guest visit P255Q for the Holidays! The holidays is always wonderful at P255Q @ PS7and we even had a special guest stop by to say “Hello” to our students! Even one our students’ little sister wanted him to hold her! It was a wonderful holiday season at P255Q! Snow Day Today, School Tomorrow! If school is open tomorrow, Principal Marowitz will get there! Winter is here. We hope you had a wonderful break! As we start this year, we look back at the fun we had across the sites to celebrate the winter season. Stay tuned for our photo gallery!